Coco, a girl living in a small village, had been dreaming of becoming a magician since little. But people who don't know how to use magic since birth are unable to become magicians, or witness the moment magic occurs. But one day, Coco accidentally saw Qifrey, a magician that was visiting the village casting a spell. This is a magical story that had fallen upon a girl, weaved by despair and hope. Are athletes, athletes from the moment they're born? So then what about witches? In a world run by the magic that flows through it, there are humans known as witches. Such individuals are male or female because the title of witch applies to both genders. Using a special type of ink, magic is drawn rather than being cast with voice or song. Different patterns represent different spells and they are often cast in secrecy. Why? To prevent the misuse of magic in the hands of the naive. If magic is used in such hands, the consequences are detrimental, enough to take away the lives of others or cause great harm to many. Magic is a power that requires the responsibility that comes with it. Realizing her love for magic, Coco bought a magic book and a pen with the ink that can be used to cast spells from the mysterious witch. And thus she enjoyed watching magic ever since, yet just seeing it didn't satisfy her curiosity. What exactly is magic then? And more importantly, how could it be used? When a flying chariot comes by her house and breaks down with the meddling of two boys, she gains a chance. Flying chariots cannot fly on their own and require a spell to be fixed if they are broken. Once of the individuals who visited her house for cloth was a male witch known as Qifrey. Witches are known by the pointed hats they wear and he carries one with him. He casts a spell within her house and by coincidence or perhaps by fate, she realizes how magic is cast. Using ink and patterns, spells become real. Ignoring his warnings to not look inside, Coco has the necessary knowledge to cast. Realizing that she had the tools to draw magic for years, she copies the shapes in her book with her wand with the tip of a pen. However, the consequences of her actions cost her greatly, at the cost of a life dear to her. Introduced as the very beginning, he enters the shop of Coco's mother to buy smoke-colored cloth. Perhaps it is for another uniform or for something else, it is never clarified. With just how busy the shop is, with noblewoman from the flying chariot looking at the hanging lace, the tidy trim, the Harian knitted lace and more, Coco takes his measurements for him. Gazing at the cloth with a practiced eye after setting it on a table, she smooths it out and making a hole, cuts a straight line across, in a completely accurate fashion, showcasing her concentration and skill. He admires her skill and then the flying chariot breaks down. Revealing his identity as a witch, he enters Coco's house to recast the spell on the chariot. Using a pen with the magic imbued ink, he draws runes which will then activate the magic spell. After all, anyone who holds the magic ink and has the knowledge of the magic glyphs can use magic. These are the greatest secrets of a witch. This one chapter ends with a few open ends. Who did the book belong to that caused all of the damage? Which glyph caused the tragedy? How exactly will Coco become a witch? And will Coco's mother return to her former state? Taking from the same mixed concept between LWA and Ran to Haiiro Sekai with some of an urban fantasy twist. At first, you could take a close glimpse how visualizing and stunning the art express more aesthetic tone and the story within it's chapter focuses over more subpar witchcraft elements. Twice as simple where it granted to be a lot philosophic theme about witches. However, more than the basic story, what enraptured me was the artwork itself. Every panel, every composition and transition seems like a true work of art, a piece that one would hang up on the wall. Not of the traditional style of shounen or shoujo, but like that of a painting. Magic express which invoke the inner aspects more than saving peoples lives other than gaining a miracle. Genuine thoughts beyond witches may once receive unholy divine blessing by gathering so much blessings through crafting. Telling where once who born as witches may soon be the most choosen one of all. Granting a tale which can sums up from a picture book, where every color pallets are not only black and white by not only you can think of thoughts about viewing our new beginning through your new chapter once it ends as it tells that magic is the miracle that colors the world. A path of witchcraft can depicts by soaring through the amidst in the beacon of light, from the light on the pavestones down to your feet. 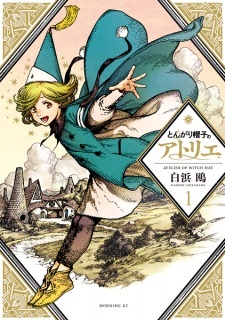 My first impression of this manga when I read it was magnificent, because instead of concentrating more on the past history hours detailing the designs of the characters and the stage because they were simply impressive. As for the story, it's good and interesting. The concept of magic, the types of magic, and the explanations given by it is very clear, although very few are precise. The characters are nice but a little refused, in terms of development I think this could give a little more interest in the near future. 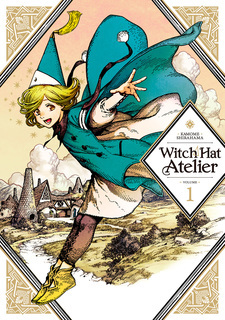 In summary this manga is very good in my opinion and I think it can leave very good feelings if it does not deviate from its concept in general.